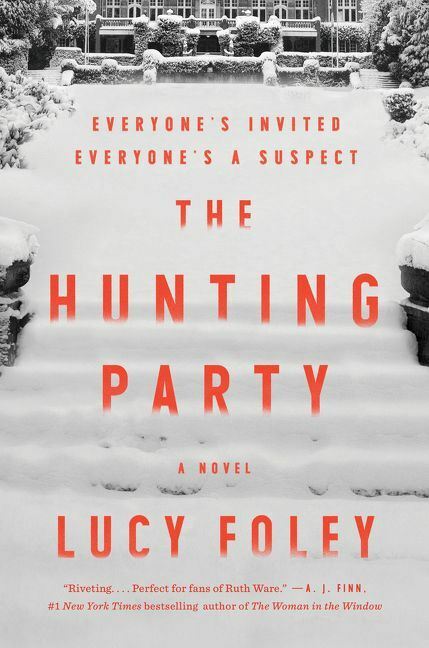 The Hunting Party is a new novel from author Lucy Foley. Although Foley has written historical fiction, The Hunting Party is her debut crime novel. This new book focuses on a group of college friends trapped by snow on an isolated estate where one of them is killed by someone in the group. The Hunting Party opens January 2, 2019, on the estate of the “Lodge,” an isolated retreat in the Scottish Highlands. Heather Macintyre, the Lodge's office manager, has just learned that Doug, the estate's “gamekeeper,” has discovered a dead body. Let's go back three days earlier to December 30, 2018. A group of nine adult friends and a baby are arriving by train on their way to the Lodge. They are Emma and Mark Taylor; Miranda Adams and her husband, Julien; Nick and his American boy friend, Bo; the new parents, Samira and Giles, and their infant daughter, Priya; and Katie Lewis, a single, professional, working woman. Seven of the nine are old college friends who met at Oxford University over a decade ago. The group plans to spend the New Year's Day holiday together, but they don't know that they will be snowed-in due to a record setting snow storm. The friends also do not know that one of them is going to be murdered over the course of this holiday, and the murderer is one among them. THE LOWDOWN: Describing The Hunting Party is at once easy and at once a bit difficult. Author Lucy Foley sprinkles familiar mystery and crime novel tropes throughout this book. The book's cover copy declares “... psychological suspense in the tradition of Agatha Christie...” Indeed, The Hunting Party is something of a spiritual descendant of Christie's legendary Murder on the Orient Express. The copy also recommends The Hunting Party to fans of British crime novelist, Ruth Ware, and Irish mystery writer, Tana French, neither of whom I have read. That's the easy part. The Hunting Party is a mystery novel, a crime novel, a murder mystery, and a suspense thriller. However, the book is very much a work of modern fiction, as Foley delves into timeless and modern themes and issues regarding marital discord, long-term relationships, the rivalries and prejudices within groups of friends and acquaintances. While the killer is something of a familiar type, the act of killing itself is complicated and is not as easy to judge as one might think. That said, I can say that The Hunting Party is a enjoyable read, and the last one hundred pages are an immensely enjoyable read. I tore through the last third of this book as if my life depended on it, and there were times while reading this novel that I felt uneasy and felt a sense of foreboding. Foley uses five narrators to tell this story. At first, that makes the narrative a bit disjointed, but as Foley gradually reveals the troubled histories of individual characters and of these people as a group, the narrative strengthens its ability to engage the reader. As the chapters race by, Foley makes it obvious that everything is headed to one flash point – the discovery of a body. She tells a riveting story, revealing just how fragile the thin line between love and hate is. So join The Hunting Party. I READS YOU RECOMMENDS: Fans of psychological suspense and of reunions that lead to murder-most-foul will want to read The Hunting Party.